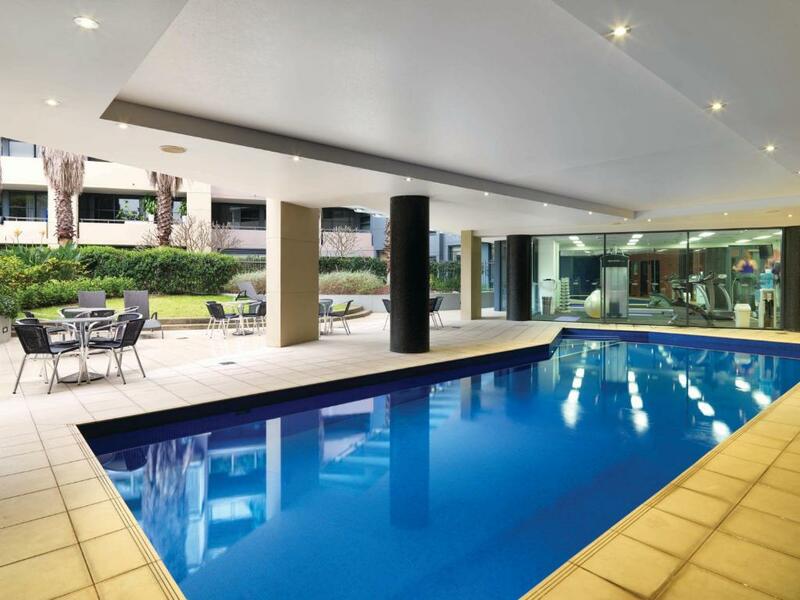 Very classy apartment overlooking Darling Harbour. Unique configuration for a studio apartment which was very clever. staff exceeded expectations, were always very friendly. They stored some of our luggage free while we made a 4 day trip to Ayers Rock and Alice Springs and back. It was waiting in our room when we got back. Great location. Clean and comfortable apartment. We were upgraded to a one bedroom apartment and were given a bottle of bubbly and a card for our anniversary. 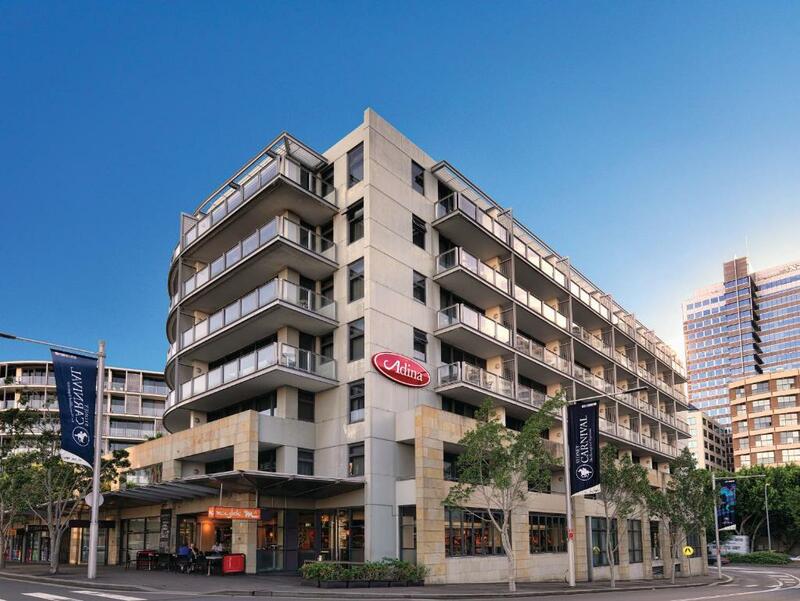 Located right near tour bus pickup and Darling Harbour; walkable to much of the city. Apartment was complete, including washer/drier. Clean, nicely decorated, excellent staff. Quiet. Complete kitchen but...sorely lacking in a coffee maker. Would recommend to this apartment hotel to anyone. The proximity of everything that we wanted to see. Great location. Close to hop on/hop off bus stop. Close to many restaurants on Darling Harbour. Clean, comfortable with cafe convenient for breakfast. Location was very close to Darling Harbor, where there were lots to do plus easy access to water transportation. Also within a 10 minute walk to downtown Sydney. Plus a wide variety of restaurant to choose from at the harbor. 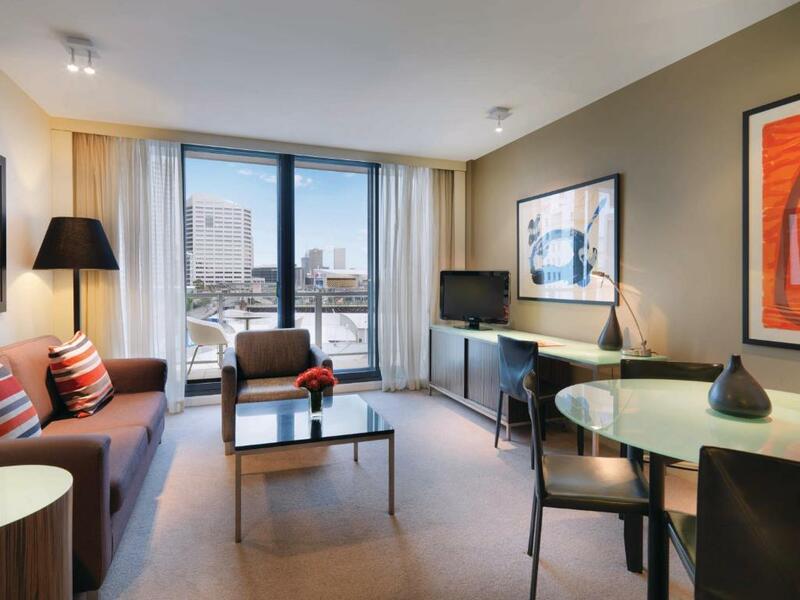 Lock in a great price for Adina Apartment Hotel Sydney, Darling Harbour – rated 8.6 by recent guests! Adina Apartment Hotel Sydney, Darling Harbour This rating is a reflection of how the property compares to the industry standard when it comes to price, facilities and services available. It's based on a self-evaluation by the property. Use this rating to help choose your stay! One of our top picks in Sydney.Featuring a swimming pool, fitness center and a sauna and overlooking beautiful Cockle Bay, Adina Apartment Hotel Sydney, Darling Harbor is located in Sydney CBD (Central Business District), and offers self-contained accommodations with flat-screen satellite TV. Most rooms offer a private balcony. 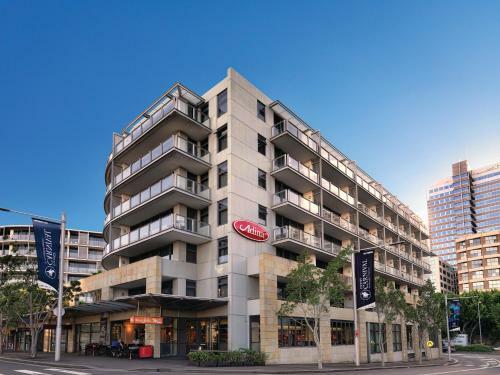 Located in Sydney’s entertainment hub of King Street Wharf, Adina Apartment Hotel is less than 3 minutes’ walk from Sydney Aquarium and Wildlife World. Chinatown is a 5-minute walk away and Sydney’s city center is just 10 minutes' walk away. All air-conditioned studios and apartments have elegant Italian furniture and a kitchenette or kitchen. Some rooms offer beautiful harbor views. Guests receive free WiFi at a speed of 512kb/ps for up to 2 devices per room, per 24 hours. High speed WiFi is available for an additional charge of $9.95 per 24 hours for up to 2 devices. Guests can relax in the garden or enjoy a meal in the barbecue area. 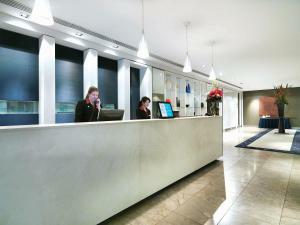 The hotel also offers a 24-hour front desk, in-room massage services and dry cleaning facilities. Modina Cafe & Bar is located in the building and offers charge-back facilities. There are several other Darling Harbor cafés, restaurants and bars within a 5-minute walk. 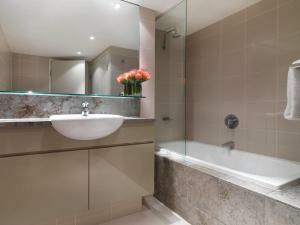 When would you like to stay at Adina Apartment Hotel Sydney, Darling Harbour? This smaller studio offers city views, a mini-bar and tea/coffee making facilities. It also includes a microwave. There is a king-sized bed or 2 single-sized beds. Please note that a studio with a balcony is subject to availability. Private parking is available on site (reservation is not needed) and costs AUD 39 per day. This spacious studio offers city or aquarium views, a fully equipped galley-style kitchen, laundry facilities and 2 TVs. The living area features Japanese sliding-wall dividers offering flexible use of the lounge and dining area. There is a queen-sized bed. This apartment features a balcony offering city views, a fully equipped kitchen, laundry facilities and 2 TVs. This apartment features a spacious balcony with aquarium or courtyard views. There is a full kitchen, a lounge/dining area, laundry facilities and 2 TVs. Enjoying partial harbor views from a larger balcony, this high-floor apartment comes with a fully equipped kitchen, laundry facilities and 2 TVs. This apartment offers a balcony with city views. It also includes a fully equipped kitchen, laundry facilities, 2 bathrooms, dining area, living room and 3 TVs. This is an interconnecting apartment with a studio and a 1-bedroom apartment. This 2-bedroom apartment features a spacious balcony with aquarium or courtyard views. There is a fully equipped kitchen, a lounge/dining area, laundry facilities and 2 TVs. Apartment Space. Hotel Service. Adina Style. Adina Apartment Hotels is TFE Hotels' global apartment hotel brand. Adina offers a range of accommodation solutions for guests including: studios, one, two and three bedroom apartments. 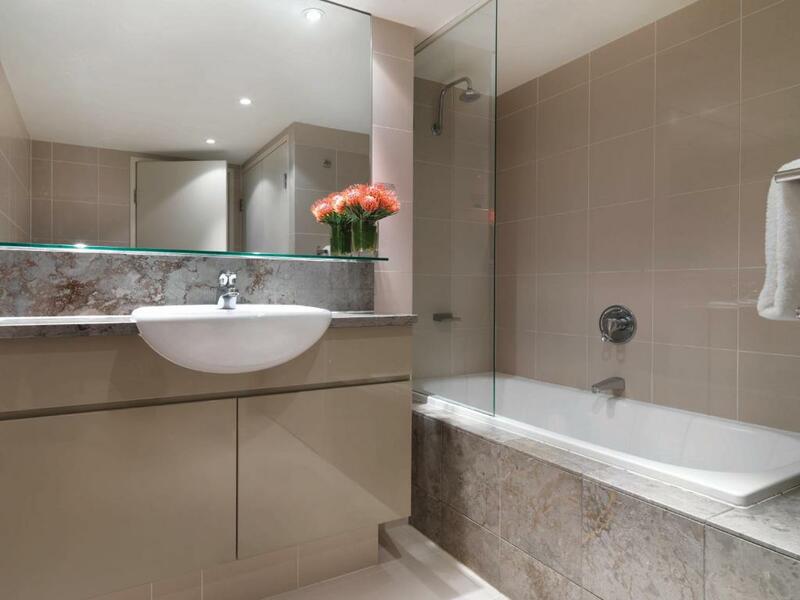 Each private apartment has been designed to suit our guests' needs, enticing them to make themselves at home. The apartments are appointed with a range of efficient features such as fully equipped kitchens, laundries and comfortable living spaces. Adina Apartment Hotels also feature lifestyle facilities and gardens. Our essence of Australia extends throughout each Adina Apartment Hotel including: friendly service, Australian artworks and Australian wine lists. Adina Apartments Hotels are located in Australia, New Zealand and across the following European cities: Berlin, Hamburg, Frankfurt, Budapest and Copenhagen. House Rules Adina Apartment Hotel Sydney, Darling Harbour takes special requests – add in the next step! A AUD100 damage deposit is required on arrival (around USD71.52). This deposit will be fully refunded 14 days after check-out, as long as there isn't any damage to the property. Adina Apartment Hotel Sydney, Darling Harbour accepts these cards and reserves the right to temporarily hold an amount prior to arrival. Please note there is a 1.5% charge when you pay with a Visa, Mastercard or American Express credit card. Please note there is a 2.5% charge when you pay with Diners Club credit card. You must show a valid photo ID and credit card upon check in. The credit card and ID must be in the same name as the guest's name on the booking confirmation. The credit card must be the same as the one used for the reservation. Please note the hotel only offers transfers from the hotel to the airport. Please note that this hotel requires a AUD 100 credit card pre-authorization upon check in to cover any incidental charges. This deposit will be refunded upon departure. A damage deposit of AUD 100 is required on arrival. That's about 71.52USD. This will be collected by credit card. You should be reimbursed within 14 days of check-out. Your deposit will be refunded in full by credit card, subject to an inspection of the property. Bed was large. Good partial view of harbour. Good location. Friendly staff. There was nothing we didn't like. It ticked all the boxes. The reception staff went out of their way to assist in every request. Micheala especially is worthy of special mention. Little dated and few items not working as well as they should, sticky tapware, door to studio bedroom stiff etc. Great location , staff were helpful. Staff were very professional and friendly, excellent check in and our process. Overall a comfortable, very clean well managed hotel.